From 1940s Mississippi to the civil rights era of the '60s and the push for LGBT equality, Journey of a Cotton Blossom follows three generations of a family fighting for liberation. J. C. Villegas paints an eye-opening story that will inspire readers to open their hearts to love. Though her characters face different types of discrimination, they all draw strength from love and from their faith in God. Can Joseph find the mother he has never met? Can Isaiah survive injustice and adversity? And can they each learn to love themselves in the face of a world that challenges their right to exist? I would like to thank you, Yvonne and Socrates Book Reviews, for taking the time with Journey of a Cotton Blossom and me. 1. Who is your biggest influence in your writing career? I would have to say my parents are one of my biggest influences. They always told me to go after my dreams. They not only told me this, they modeled it. Having them as strong role models and a constant support system let me know I can accomplish whatever I set my mind to. Injustice has also had a huge influence on my writing. Since I was a little girl my parents have always said I was completely incensed by any injustice I would see, and that has not diminished over time. 2. What type of research do you do for your writing? 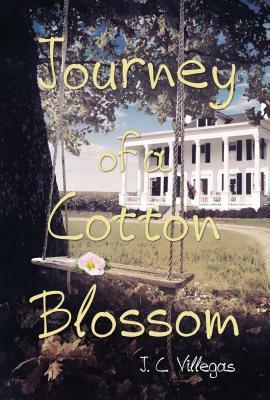 For Journey of a Cotton Blossom I did a lot of research on the history of Mississippi from the 1940’s through the 1980’s. I read many articles and historical journals, one after the other. I already knew some of Mississippi’s history, but many of the things that happened I was not taught in school. A lot of it was entirely new information to me, which I found to be quite shocking. 3. Why did you choose to be a writer? I would not say I chose to be a writer. It chose me. I had no intentions of writing a book until Journey of a Cotton Blossom came to me one night in a dream. When I woke up from this dream I was intrigued, but I thought there was no way I was going to write a book. I had no training, and at that time I was on a different path having started a non-profit animal rescue. Over a nine-month span, I continued to have this dream. Each time it intensified and more detail came to me. Finally, I decided if I was ever going to sleep soundly again I had to start writing. 4. What book would you choose to read for your own relaxation? Shamefully, although I am now an author, I have not been a huge reader in the past. I am somewhat of a TV junkie. Over the past years I have enjoyed two of Eckhart Toll’s books, along with a couple of Ellen DeGeneres’s books, and Drew Barrymore’s latest biography. I also do find myself reading a lot of scientific publications, historical articles, and news articles. I enjoy learning. 5. Who is your all time favorite author? When I was a little girl my dad read me The Chronicles of Narnia by C.S. Lewis every night. We went through all seven books twice. I would say that was a big influence to my creativity and how it can be shown through writing. I am big fan of J.R.R. Tolkien, and J.K. Rowling is an author I highly respect. She is definitely someone to emulate. Thank you so much for stopping by our blog, J.C.! Thanks to the author and the publishers, I have two print books of Journey of a Cotton Blossom by J.C. Villegas to giveaway to two lucky winners. 7) For one extra entry: Follow me on Twitter. The giveaway begins on April 3rd (midnight est) and ends on April 10th (midnight est). I love and agree with your thoughts that writing chooses you. Sometimes it is an idea or even a character that won't leave you alone until you tell the story. I also enjoy research. Thank you for your and this give away. Thank you for hosting J.C. Villegas on your blog. I am not familiar with any books by her. After reading your information I am looking forward to adding it to my to be read list. Enjoyed the interview. Love the house on the cover. Love that this came to you in a dream. Can't wait to read your book. Thanks for this giveaway! I'll add it to my sidebar of giveaways. I enjoyed the interview. I wish I'd dream a story that would turn into a book! Thank you for inviting me to join the conversation about this story set in the Deep South, my home. I enjoy southern lit of every genre. Thank you for the introduction to J.C. Villegas. Great interview! It sounds like a very interesting story. Thanks for this chance.